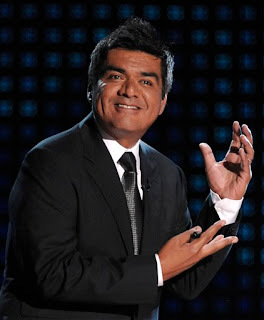 Ticket King Milwaukee Wisconsin: Ticket King Milwaukee Thinks George Lopez is Hillarious! Ticket King Milwaukee Thinks George Lopez is Hillarious! It official! George Lopez is bringing his tour back to Milwaukee!! This year he will be at the Milwaukee Riverside Theater on Thursday March 18th at 8pm! I'm so exited that he is coming back to Milwaukee because I had no idea he even came last year! I don't know how I never heard about it, but this year I wanted to make sure everyone knew! There definitely was some buzz around the office about it today and I think tickets are going to be a hot commodity, especially with George Lopez's new tonight show. I'm sure it will be a great performance and I can't wait to see what he brings to the stage this year!